If you’ve ever been shopping for a computer, you’ve probably encountered terms like workstation, entertainment, and gaming PC. Unfortunately, the marketing around those phrases can make it more difficult to understand what kind of hardware is actually involved. 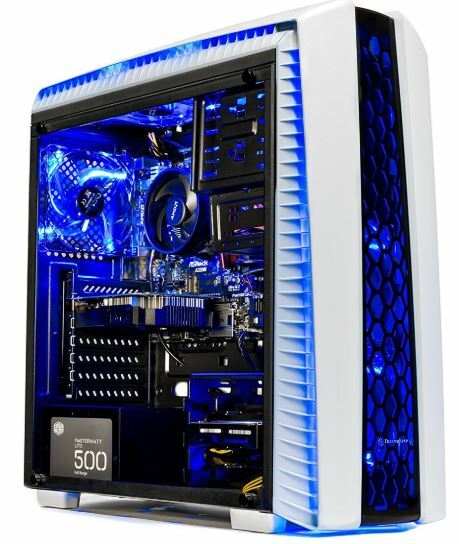 However, there are significant and substantial differences between a gaming PC, a workstation, and other types of computers. Most of those differences depend on how you need to use your PC, but some of them go far beyond that. Workstations are computers intended to be used by professionals, especially those doing some kind of computationally intensive task. It might be an engineer running a 3D modeling program, a digital artist rendering animations, or a data scientist doing research. Whatever the case, these are people who need more power than you’ll find in your average PC, which means they need a workstation. The most readily defining features of a workstation are a powerful processor, and usually far more RAM than you’ll find within the average PC. You’ll usually see marginal improvements in other areas of the build as well, partially to prevent one component from bottlenecking another, and partially to help create a more durable type of computer. Workstations are often made specifically for the purpose of sustaining performance over time, which requires parts that were constructed in anticipation of perpetual use. Like a workstation, a gaming PC has to be stronger than an ordinary computer. Modern games require increasingly higher technical specifications, which is why a powerful gaming PC requires parts that are far more powerful than what most non-gaming PC users will ever need. But running games is a very specific type of process, and gaming PCs are optimized around those needs specifically. Consequently, the differences between a workstation and gaming PC usually vary from one component to the next. The biggest difference usually comes down to the CPU used by each type of machine. Nearly every computer calling itself a workstation will have a powerful CPU. But workstations often use processors which are optimized for parallel processing, not for gaming specifically. Those processors often go far beyond anything a gamer would ever want or need, like an Intel Xeon or AMD EPYC. If you’re building a high end gaming PC, you might spend around $300 for a top-shelf CPU. By contrast, chips for workstations can easily cost in excess of $2,000. What’s the difference? The consumer-grade CPU has around 4-6 cores, and cache size that’s proportional to that number of cores. By contrast, a workstation CPU may use a 32-core processor, with a gigantic cache size to match. More cores are better, right? Not necessarily. In order for cores to be utilized, programmers have to write software to utilize them. In the early days of quad-core processors, virtually no games offered support for 4-core processors. In the time since then, things have improved. But when it comes to processors with huge numbers of cores, the same fundamental problems begin to reemerge. Imagine one processor with 20 cores, each running at 2.0Ghz. Now imagine a second processor with 2 cores, each running at 2.1 GHz. Amazingly, the 20-core processor will actually perform worse at running any number of games. That’s because simply having 20-cores isn’t enough, you need software that’s written to take advantage of each one. And it should be no surprise to learn that in practice, game developers tend to craft their code to support the 4-6 cores that you generally see on consumer processors. You’re simply not going to find games that support the extreme number of cores available in workstation CPUs. There’s just no reason for a gaming PC to run those kind of processors. There won’t be any advantages, they’re drastically more expensive, and there can even be performance losses involved. As you might expect, the graphics processing unit (GPU) is usually the central component of a gaming computer. 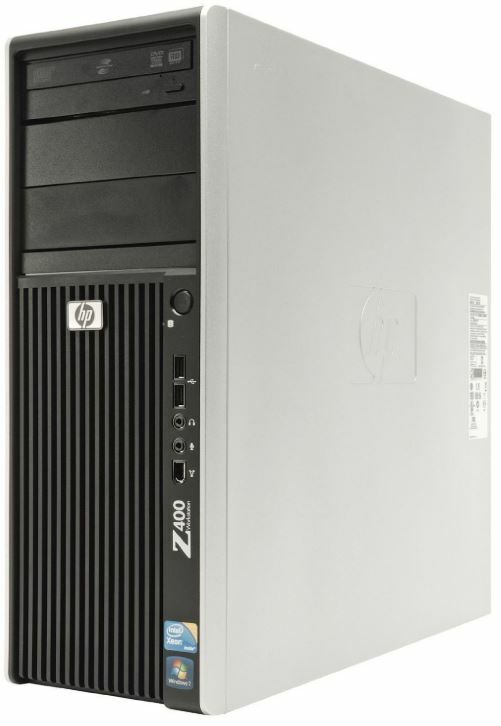 But it can be just as important within a workstation if that machine is expected to take on 3D modeling, video editing, and similar computationally intensive tasks. Among GPUs, essentially the only two players in the game are NVidia GeForce and AMD Radeon. A variety of manufacturers create cards for those developers, but nearly every card on the market is based on a design from one of the two. Those two brands have a line of GPUs which are specific to workstations, the Quadro and RadeonPro. They differ from ordinary GPUs in that they offer a greater quantity of video memory, are optimized for GPU-oriented software rather than games, and offer generally higher clock speeds. While they can be turned to gaming, they’re not optimized for those tasks, and occasionally run into minor support issues. When it comes to RAM, you don’t need much to run a great gaming PC. Having 8GB of RAM is about standard these days, and that’s more than enough to smoothly play virtually every PC game that exists. By contrast, workstations often require huge quantities of RAM for data-intensive processing. Ordinary workstations can be found carrying between 32GB and 64GB, with high end machines hitting 128GB and beyond. Workstations also tend to use a different type of RAM called error-correcting code (ECC) memory. It’s a type of RAM that can improve stability within programs and prevent the corruption of your data, which it manages by being great at detecting data corruption within itself. For circumstances when zero corruption is tolerable, like scientific research or banking, ECC RAM can be an essential part of your machine. But gamers don’t want it. Not only does it cost far more than ordinary RAM, it can perform marginally worse under a variety of different conditions. If you don’t need nigh immunity from data corruption, it’s not something you’ll want to be involved with. And it’s incredibly common inside workstations. Because workstations often use special CPUs and RAM, there are matching differences in their motherboard. Apart from simply having the right socket for workstation CPUs, these boards are unlocked for higher quantities of RAM, and tend to have a generally high build quality. The chipsets on various workstation motherboards usually aren’t anything remarkable. Turning to gaming computers, the biggest difference comes down to sound capacity. Workstations may or may not care about sound at all, while it’s a necessity for a gaming PC. Whether you’re a causal gamer looking for immersion or you’re a competitive player looking for an advantage, your sound chipset matters. Many gaming-oriented motherboards use an audiophile-type construction, which includes gold plated I/O contacts, and filtered power for an attached digital audio converter. Workstations are usually constructed with a business-first aesthetic. By contrast, gaming PCs make use of cases with windows, countless RGB LEDs, and similar customizable aesthetics. Depending on the gamer’s level of enthusiasm, they may use rubber gaskets to isolate vibration from hard drives, or implement anti-vibration mounts for fans. Gaming PCs sometimes attend to small details like that, which only matter when you’re sitting two-feet away from your computer all afternoon. As far as cooling goes, more powerful components produce more heat. More heat requires more cooling. Both gaming PCs and workstations use powerful components, and both tend to use similarly strong cooling solutions. Likewise, there aren’t many differences between workstations and gaming computers when it comes to storage. Workstation motherboards and cases are generally equipped to take on vastly more numbers of storage drives, but that’s essentially the only distinction. What’s the Difference Between Gaming PCs and Workstations? It’s the difference between an 18-wheeler and a Ferrari. Both have power, but it’s a different type of power. In this analogy, workstations are the 18-wheeler. They can far exceed the power of a gaming PC, and their parts are generally more heavy-duty. While workstations may not have the style of a sports car, they have an undeniably high functionality when it comes to specific types of tasks. In most respects, workstations tend to be stronger than gaming PCs. At that point, it’s fair to ask, can workstations be applied to the task of gaming? Unfortunately, the answer is only sometimes. How well a workstation will perform in a game will ultimately come down to its GPU. If the workstation is using an inexpensive GPU, or no GPU at all, then performance will suffer badly. Can a gaming PC be used as a workstation? The answer is once again: sometimes. If you’re spending less than $2,000 on your computer, then you can almost certainly use a workstation and a gaming PC interchangeably. But a truly powerful workstation may have a CPU that costs more than every single component of a gaming computer combined. As you start to spend substantially more than $2,000, workstations begin to be able to take on types of tasks that gaming PCs aren’t made to handle.